Beautiful scenery, overcast weather, long climb, long downhill. Hard to believe that I only have two more days of riding after today and I touch the Atlantic Ocean and kiss my wife (not necessarily in that order). 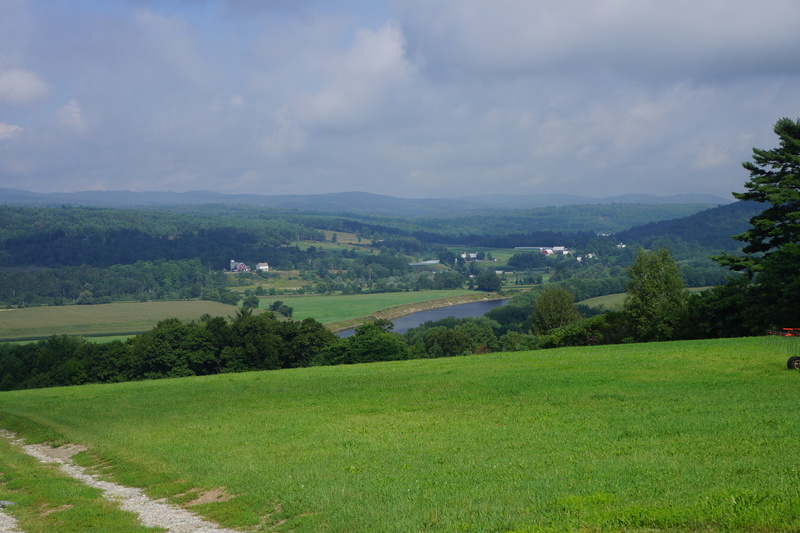 One of our first views of New Hampshire (near Haverhill) which we entered this morning. 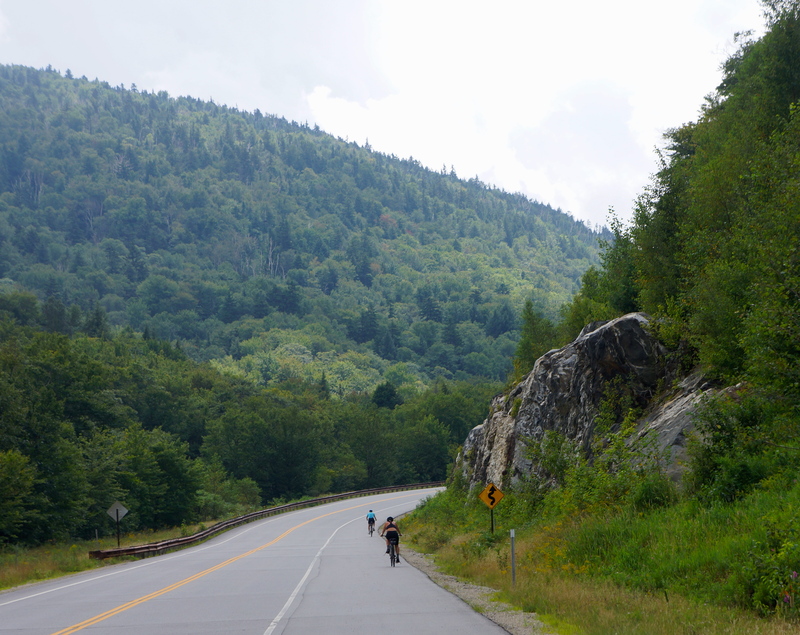 Another view on our route near Haverhill, NH. 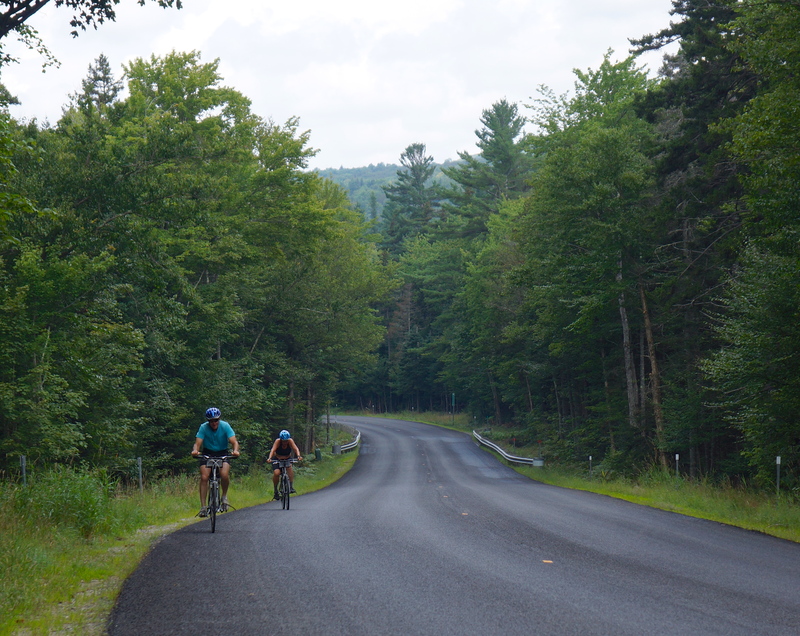 Steve & Sharon on today’s long and gradual climb (compared to yesterday’s climb to the Middlebury Gap) to the pass where the Appalachian Trail crossed the road. Another view of Sharon and Steve on the climb to the Appalachain Trail. 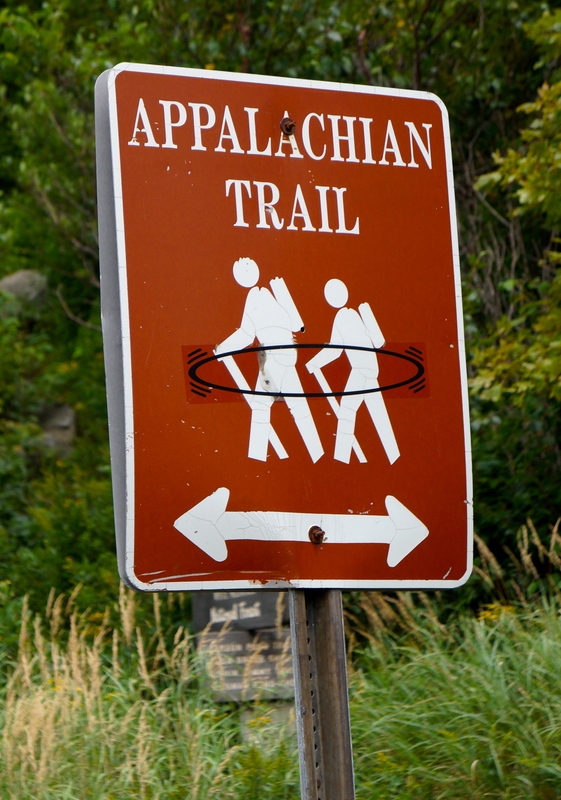 Appalachian Trail Marker at the top of the pass . 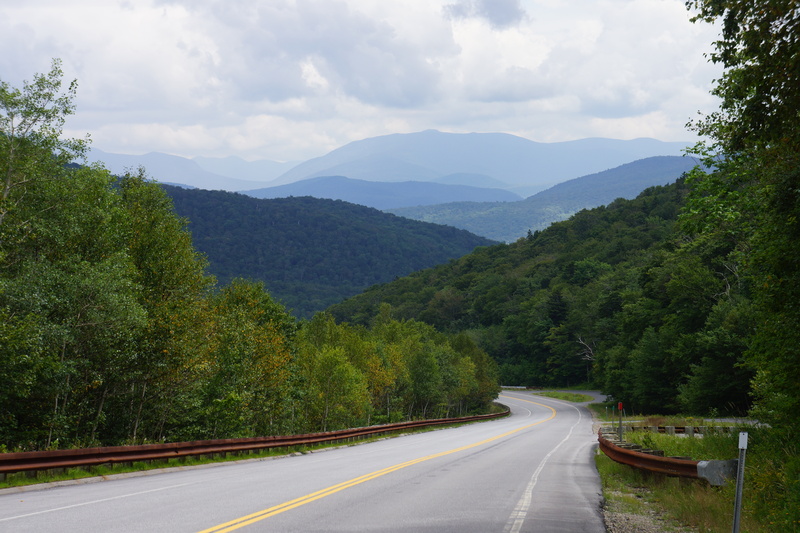 When we arrived we found a dozen college age hikers resting or hitchhiking the six miles into town. One group of six hikers told me that they had been hiking the Appalachian since February when they started in Georgia and were going to complete the trip in September. 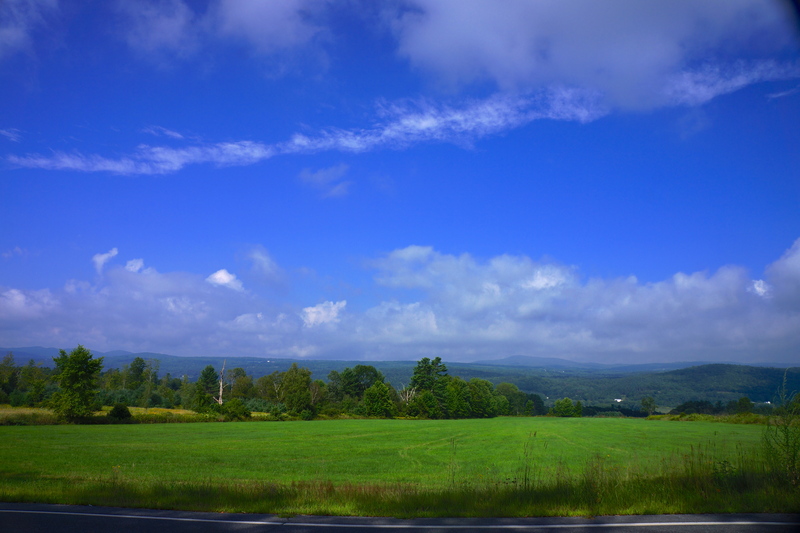 View on the six mile downhill ride from the Appalachian Trail to the town of Lincoln, NH.